‘Shakespeare’s eschewed endings’. The University of Edinburgh, New College. 26 March 2018. Introduction to the newly released Kit Monkman Macbeth. City Screen, York. 13 March 2018. ‘Kit Monkman in conversation with Judith Buchanan’. National Association of Writers in Education. 9 November 2017. 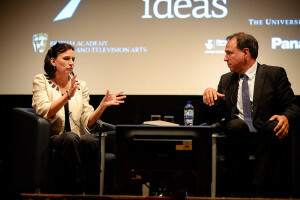 ‘Anthony Horowitz in conversation with Judith Buchanan’. University of York. 8 November 2017. 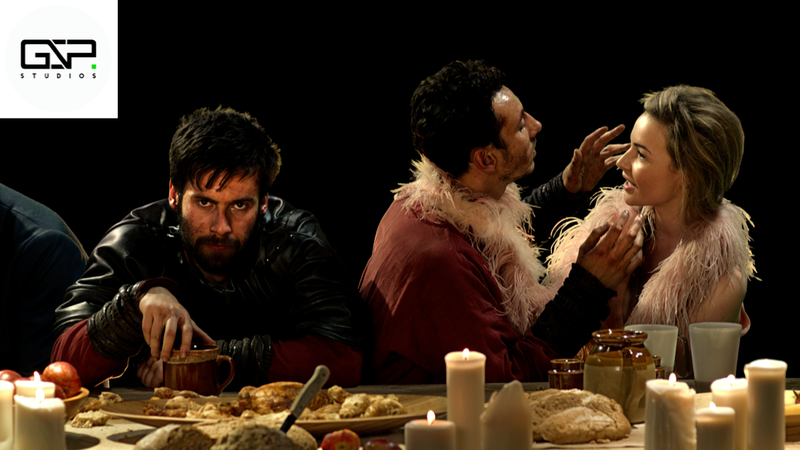 ‘”Nothing is but what is not”: Judith Buchanan on co-scripting the new Macbeth feature film’. George Washington University. 25 October 2017. ‘Macbeth, the metaphysical and the cinematic’. University of Notre Dame, Indiana. 24 October 2017. 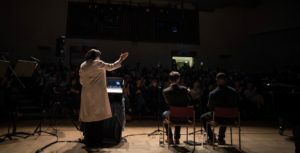 ‘Silent Shakespeare’, a public show in collaboration with actors and musicians. Sponsored by the Society for Renaissance Studies. Sir Jack Lyons Concert Hall, York. 6 October 2017. ‘Knowledge, the porter and silent film in Macbeth‘. Gdańsk Shakespeare Theatre, Gdańsk Shakespeare Festival/European Shakespeare Research Association. 30 July 2017. 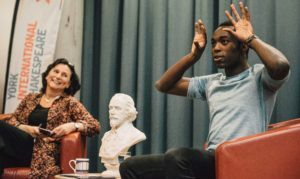 ‘Paapa Essiedu in conversation with Judith Buchanan’. York International Shakespeare Festival. 18 May 2017. ‘Macbeth in performance’. Public talk with actor assistance. Shakespeare’s Globe, London. 26 July 2016. 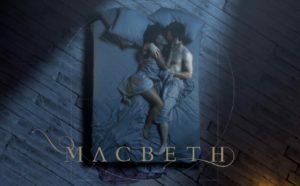 ‘A History of Macbeth on Film’. 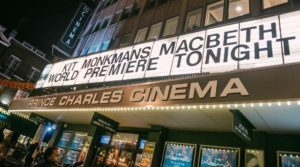 Public talk, giving context to the forthcoming release of the Kit Monkman Macbeth. British Library, London. 17 June 2016. ‘Shakespeare: Moments that Matter’. 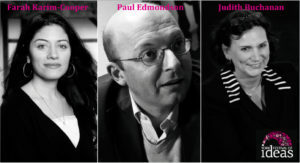 Public talk in collaboration with Dr Paul Edmondson and Dr Farah Karim-Cooper. York Festival of Ideas. 13 June 2016. ‘Silent Shakespeare’. Public talk/show in collaboration with actors from the Chicago Shakespeare Theater. For the Chicago Shakespeare400 Festival. 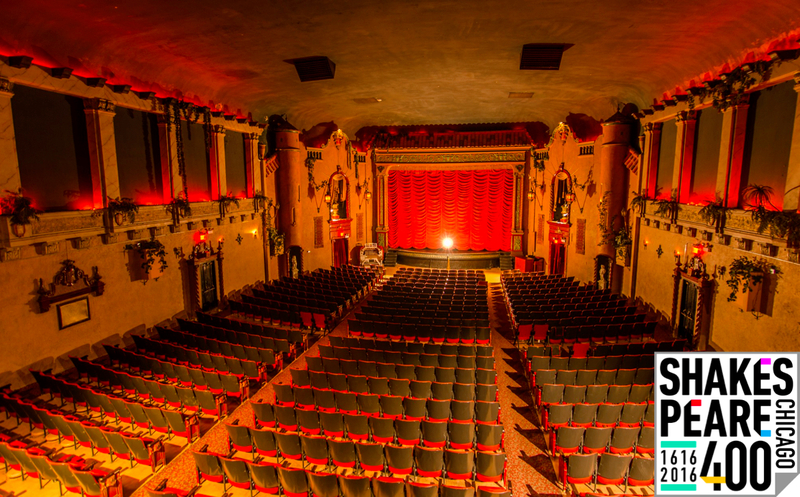 Music Box Theater (Chicago). 6 June 2016. ‘Play on! 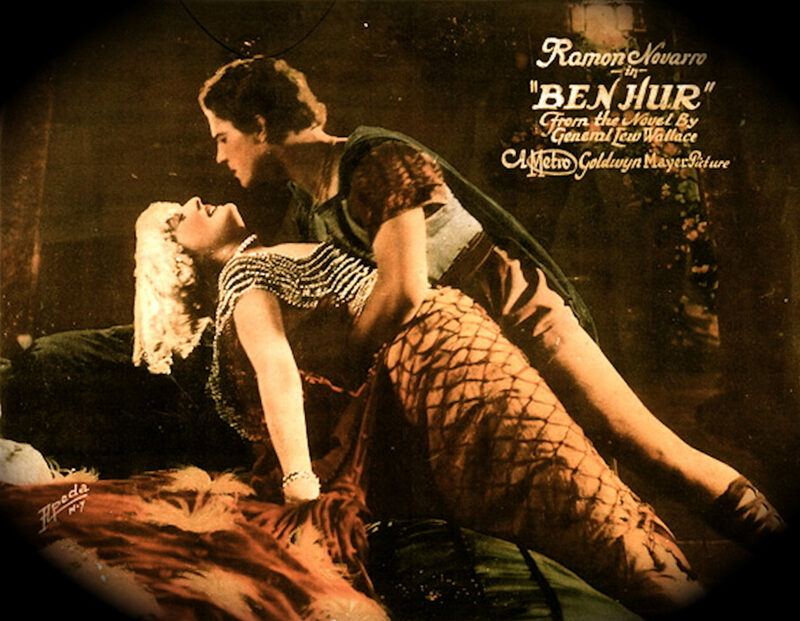 Silent Shakespeare films’. 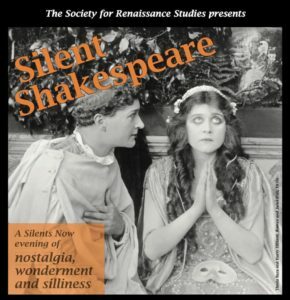 Public talk to introduce silent Shakespeare films from the British Film Institute National Archive. 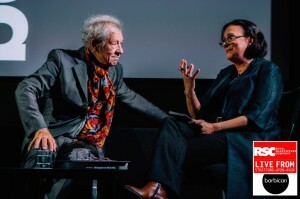 The #ShakespeareLives BFI Shakespeare400 programme. BFI Southbank. 4 May 2016. ‘“The future in the instant”: Shakespeare’s Janus gaze and ours’. Keynote for ‘Shakespeare: The Next 400 Years’, the Shakespeare400 commemorative conference and festival. 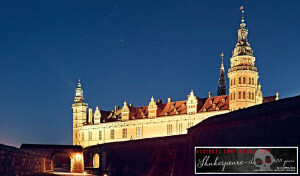 Elsinore Castle (Helsingor, Denmark). 23 April 2016. ‘Shakespeare and Event Cinema’. Research paper. University of Melbourne. 23 March 2016. ‘Female Hamlets’. Introduction to a screening of the 1920 Asta Nielsen Hamlet with a new score by Ashley Hribar. Capri Theatre, Adelaide. 21 March 2016. ‘Double deaths and double statues: dancing The Winter’s Tale‘. Adaptation and Dance conference. de Montfort University. 2 March 2016. ‘The RSC on Screen’. 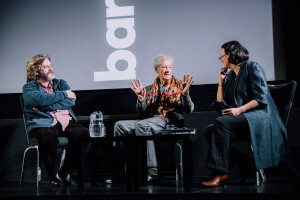 Greg Doran and Sir Ian McKellen in conversation with Judith Buchanan. Part of the ‘RSC on Screen’ season curated by John Wyver. The Barbican. 10 January 2016. ‘Real things? An intermedial conversation’. Keynote at the 10th Association of Adaptation Studies international conference, Senate House, London. 25 September 2015. ‘Henry V: text, performance, score’. Public talk, National Centre for Early Music. 2 July 2015. ‘“Here will I lie tonight; but where tomorrow?”: performing place and placing performance’. Keynote at Live Theatre Broadcast international symposium, TFTV, University of York. 25 June 2015. 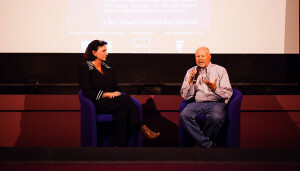 ‘Screenwriter Andrew Davies in conversation with Judith Buchanan’. York Festival of Ideas. 12 June 2015. “Words, words, words”: Hamlet without them’. 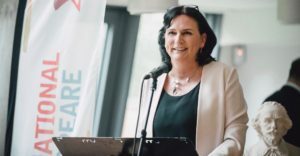 Public talk to introduce the Asta Nielsen film and open the inaugural York International Shakespeare Festival. Sir Jack Lyons Concert Hall, York. 9 May 2015. ‘For this was I ordain’d’: places of encounter for Shaespeare’s Richard and History’s’. Keynote at ‘Richard III: Histories–Transformations—Afterlives’ conference, on the occasion of the reinterment of King Richard’s bones. DMU, Leicester. 25 March 2015. ‘Wresting an alphabet: endings performed and endings averted in Shakespeare’s late plays’. Invited talk, The Franke Institute, University of Chicago. 11 March 2015. ‘Muses of fire and unworthy scaffolds: texts and performance in Henry V’. Invited talk. Faculté des Lettres, University of Lausanne, Switzerland. 19 November 2014. ‘Heroism and its unstitching: Henry V in text and performance’. Merchant Adventurers’ Arts Discovery Lecture. Merchant Adventurers’ Hall, York. 5 November 2014. ‘Wresting an Alphabet: Adapting Shakespeare Collaboratively’. Keynote at ‘Process and Practice: Adaptation as a Collaborative Art’ international conference, University College Cork. 4 October 2014. ‘Frank Benson’s Richard III’. Public talk to introduce the Silents Now show in the ruins of Middleham Castle. 24-25 August 2014. ‘Muses of fire and unworthy scaffolds: texts and performance in Henry V’. Public talk for the Cologne Shakespeare Festival. Cologne Art Gallery. 2 July 2014. ‘Michael Morpurgo in conversation with Judith Buchanan’. York Festival of Ideas/York Theatre Royal. 19 June 2014. ‘The Yorkshire First Folio’. Joint public talk given with Professor Brian Cummings. Celebrating the visit of the Yorkshire Shakespeare First Folio. The Yorkshire Museum. 13 May 2014. ‘Magic paintbrushes and outwitted artists: the framing of early cinema’. Invited Talk. New College (Humanities Division), University of Oxford. 4 April 2014. ‘Courting and Thwarting the Ill Word: The Apocryphal Judith in Film, Art and Literature’. Invited Talk. School of English, University of Kent. 29 January 2014. ‘Not Sycorax’. Invited research paper. Shakespeare’s Globe (London). 7 December 2013. ‘Giving voice’. 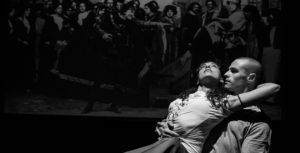 Public talk to introduce the performed screening of the 1911 Frank Benson Richard III film, Main House of York Theatre Royal. 27 November 2013. ‘Thwarting and courting the “ill word”: destabilised biblical semantics across media’. Invited keynote for international conference ‘Diversity and homogeneity in drama, theatre, film and media’, University of Łódź, Poland. 25 -27 October 2013. ‘Richard III: History’s Man and Shakespeare’s’. Joint public lecture, part of the York Festival of Ideas. Given in collaboration with Professor Mark Ormrod and Chris Skidmore MP. Bowland Auditorium, York. 23 June 2013. 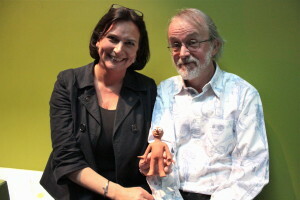 ‘Peter Lord in conversation with Judith Buchanan’. York Festival of Ideas. 22 June 2013. ‘Thanhouser’s Adaptations’. 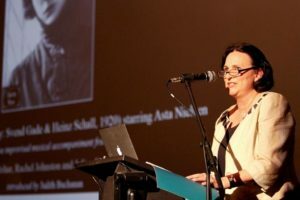 Public talk to introduce the Silents Now/Thanhouser film programme, with live piano, actor voices, and introductory Q&A with Ned Thanhouser, at The National Film Theatre, BFI Southbank, London and The Hyde Park Picturehouse, Leeds. 12 and 13 June 2013. ‘Literature and cinema: the intermedial gaze’. Invited research paper to ‘Inventions of the Text’ research seminar series. English Department, University of Durham. 22 May 2013. ‘Seeing the apocryphal Judith’. Invited research paper to the Theology Dinner, Worcester College, University of Oxford. 15 November 2012. ‘Magic paintbrushes and outwitted artists: animated paintings in early cinema.’ Invited research paper to the History of Art Department, Peking University (PKU). 17 September 2012. ‘Poetic loneliness’. Invited lecture to the Faculty of Arts at the University of Hubei, Wuhan. 19 September 2012. ‘Muses of fire and unworthy scaffolds: the dramatic contract in Henry V‘. Invited research paper to the Faculty of Arts at the University of Hubei, Wuhan, 20 September 2012. ‘Ovid and After’. Public lecture, part of the York Festival of Ideas. Given in collaboration with Professor Hugh Haughton. Bowland Auditorium, University of York. 22 June 2012. ‘Anthony Horowitz in conversation with Judith Buchanan’. Festival of Ideas. Central Hall, University of York. 16 June 2012. ‘Judith’s vampish virtue in film, art and literature’. Invited research paper, Faculté des Lettres, University of Lausanne. 2 May 2012.